Analysts believe the recent rise in attacks in Afghanistan is a Taliban counterstrategy to illustrate the insurgent group’s strength and relevance as the new U.S. strategy is being implemented in the country. “I see the recent increase in attacks by Taliban a reaction to the Trump administration strategy regarding South Asia. Taliban have increased their attacks in order to show their presence and strength in the country,” Ahmad Shah Katawazai, defense liaison at the Afghanistan Embassy in Washington, told VOA. A number of terror attacks have happened across Afghanistan in recent weeks, killing more than 200 Afghan security personnel and dozens of civilians, and injuring hundreds more. Earlier this week, militants attacked the Kabul-based main headquarters of Shamshad TV, a national TV station in Afghanistan. The attack began Tuesday with an explosion, and then armed insurgents stormed the building, shooting indiscriminately at people inside. The militants were later gunned down by security forces. Islamic State claimed responsibility for the attack, which killed four people and wounded more than 20 others. On Oct. 31, a suicide attack on the diplomatic enclave in Kabul killed at least eight people and wounded several others. On Oct. 20, suicide attacks on two mosques killed at least 67 people and wounded dozens of other worshippers. The attackers struck a Shi’ite mosque west of Kabul and a mosque in western Ghor province. Islamic State claimed responsibility for the Kabul attack. On Oct. 17, Taliban militants stormed police headquarters in southeastern Paktia province, killing as many as 60 security forces, including the provincial police chief. The attack was followed by a suicide car bombing at another Afghan military base in southern Kandahar province, in which 43 soldiers were killed. Taliban claimed responsibility for both attacks. Experts offer differing opinions for the reasons behind the increase in attacks. Some argue that the surge in attacks has something to do with increased U.S. combat role in the country. “It is kind of a military escalation on both sides. Afghan and U.S. forces are killing a lot of insurgents and that’s provoking the insurgents to kind of engage in their own escalation,” said Abubakar Siddique, a Prague-based journalist. U.S. forces have taken on a greater combat role in Afghanistan since the new strategy was announced in August. In September alone, Taliban and Islamic State terror groups were targeted in 751 airstrikes — the highest monthly rate since 2012. American and Afghan officials are looking to the new U.S. strategy to help force the Taliban to peace talks. U.S. Secretary of State Rex Tillerson hinted at that prospect during a recent trip to the region. 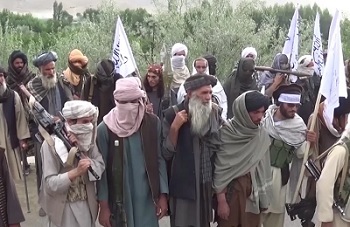 Some analysts, such as Michael Kugelman of the Washington-based Woodrow Wilson Center, argue the rise in attacks could also mean rejection of peace talks by the Taliban. “The Taliban, in carrying out these attacks, is delivering a very strong message: We prefer to fight rather than talk, and we have the capacity to succeed,” Kugelman said. Rebecca Zimmerman of Rand Corp. agrees with Kugelman’s analysis and adds that even if Taliban do come to talks, they want to come with strength, which could be a reason behind the increase in attacks. Pakistan is also viewed by many as part of the equation. Some analysts say the surge in Taliban violence could also be attributed to the U.S. pressure on Islamabad. “We would like to see the same commitment that Pakistan brought in 2014 to the fight against Tehreek-e-Taliban Pakistan; that same strategic commitment to the other militant proxy groups who take advantage of Pakistan territory,” Alice Wells, U.S. assistant secretary of state, told VOA this week. Some tie the increase in attacks to corruption in the Afghan security apparatus. “Every time there is an attack, it is deadly and successful, and then you find out a few weeks later that those attacks were made possible because of incompetency, corruption or politicization of the security forces,” Bilal Sarwary, a Kabul-based freelance reporter, told VOA. Afghan officials however argue that increase in attacks illustrate Taliban weakness. “Using civilians as a shield, they target areas where unfortunately civilian population is killed. Attacking mosques, buildings, even television stations and IEDs on the roads shows that Taliban are losing ground,” Katawazai said. VOA’s Urdu Service contributed to this report.